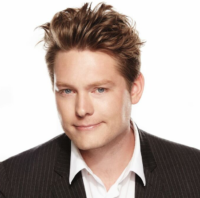 Businesses in every sector understand they need to adapt to the modern world, but acclaimed business transformation expert Tom Goodwin tells Alex Hayes how many are still just tinkering around the edges. You’ve probably seen or heard that quote a dozen times at various conferences, in articles and referenced on LinkedIn. But for the man who penned that viral paragraph, not enough people have taken the time to understand the thinking behind them. Tom Goodwin is typically upfront when asked what business transformation looks like for most companies: “I think for me we’re always looking to the next big thing and we’re always doing so on the basis that it’s going to be 3D printing or augmented reality or virtual reality. Goodwin pithily describes this race to adopt new technologies and gadgets in lieu of real strategy as a “Pimp My Ride approach to business transformation”, referencing the US TV show which saw members of the public get their rust bucket cars transformed by a team of mechanics, who fitted the crumbling wrecks with the latest gadgets and accessories. Expanding on the metaphor he explains: “We feel like we need to do these spinning rims, massive exhaust pipes and great Hi Fis, and actually companies probably need to think about it the other way around. These are unexpected words coming from Goodwin, whose day job is head of innovation for media agency Zenith. The running joke in the advertising industry is that usually it is agencies like Goodwin’s which are pushing clients to adopt the latest shiny new toy, often in the hunt for industry awards. But Goodwin is proud to take a contrarian approach to things most of his competitors are running towards. He says his job is to challenge clients about the real issues in their business. “I think we create almost an echo chamber, where I feel like we’re all in the business of doing lots of stuff which is inherently nonsense but keeps us all busy,” he admits. For Goodwin, who has worked with some of the world’s biggest brands, it is the boring and slow approaches and systems that businesses are too scared to tackle in search of meaningful change. He uses the example of airlines (although he also admits that he hates picking on them because they are such an increasingly easy target). “It’s kind of remarkable to me that an airline might celebrate training staff with augmented reality headsets and at the same time if you try to email your airline they’re not able to take email because it doesn’t suit them,” he says. In his role the 39-year-old Brit is regularly seconded to consult with clients on their fundamental businesses, and help them understand what it is, if anything, they need to change. He explains there are a couple of stages he gets these businesses to go through to help them start to understand what needs to change. The first is getting them to understand if transformation is something they definitely need to go through. “Again, this is quite a contrarian viewpoint,” he explains. “But the world is full of people going around on stages saying everything is faster than before, everything is different, you’re either a start-up or a leave-behind, the sky is falling. “There actually are quite a lot of companies that are fine, if you’re a family brewer making beer, Airbnb has not changed your business, QR Codes don’t mean that much. If you’re a family funeral director, there’s no Uber for coffins that’s going to come along. He explains most “do the minimum amount they need to” as a short-term fix and a story to tell financial markets and investors. “So I think the second question people really need to ask is, am I being true to myself? Do I want to undertake a six year multi-million dollar program that won’t actually have any return on investment for four years? “Or actually am I just happy to sort of retire in three years’ time and to know that I wasn’t the person that really messed it up? If the answer is the latter, says Goodwin, then that company needs to be prepared for a tough future in the long-term, as newer more customer-focussed competitors emerge. 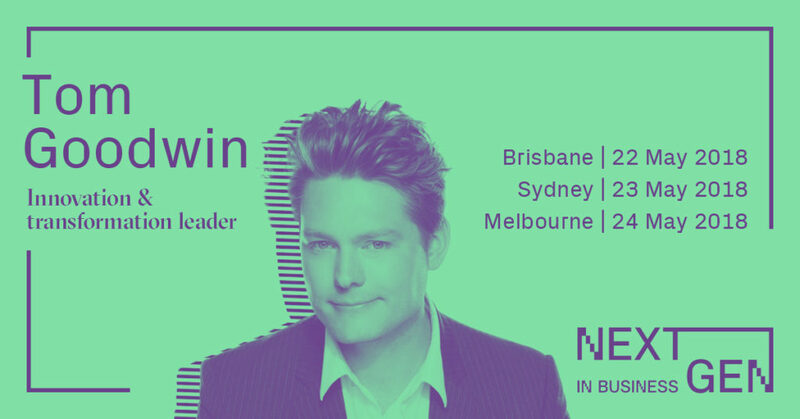 Tom Goodwin is a keynote speaker at the NextGen in Business conference series taking place in Sydney, Brisbane and Melbourne in May, to help businesses prepare for the multigenerational future. To see the line up and save $150 per ticket click here.